Following a series of conversations throughout the diocese with clergy and lay leadership from the Black Catholic community, Bishop Barry Knestout is pleased to announce that Deacon Charles Williams has accepted the position of Interim Director, Office for Black Catholics effective December 1, 2018. 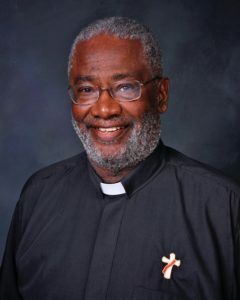 As interim director, Deacon Williams will continue the mission of the Office by seeking opportunities for ongoing inclusion and participation of Black Catholics within the life of the diocese, overseeing a pastoral planning process to effectively serve this community, and providing a renewed focus on the New Evangelization within the African American community. Concurrent with this new role, Deacon Williams will continue in his assignment as permanent deacon at the Cathedral of the Sacred Heart and his supporting role with diocesan prison ministry efforts. We welcome Deacon Williams in his new role and ask for prayers as he carries out the historic mission of this Office.